More than eight months has passed since the Federation of Independent Sea Harvesters of Newfoundland and Labrador (FISH-NL) presented an application to the Newfoundland and Labrador Labour Relations Board requesting that the organization be certified as the new bargaining agent for inshore fish harvesters, currently represented by the FFAW-Unifor. On August 1, the group was once again calling on the province’s Labour Relations Board to conduct an immediate vote of inshore harvesters to decide which union they want to represent them. “The delay is unreasonable, given that time is of the essence,” said Ryan Cleary, president of FISH-NL. While FISH-NL and the FFAW-Unifor supplied information to the Labour Relations Board in response to the order, Derek Butler President of ASP, refused. According to the Labour Board’s investigator, Butler told the board in March he had “no authority” to order member companies to provide the information requested. Cleary said the list from the ASP, which represents more than 65 fish processing plants in the province, is the only way to independently verify the identity of inshore harvesters. 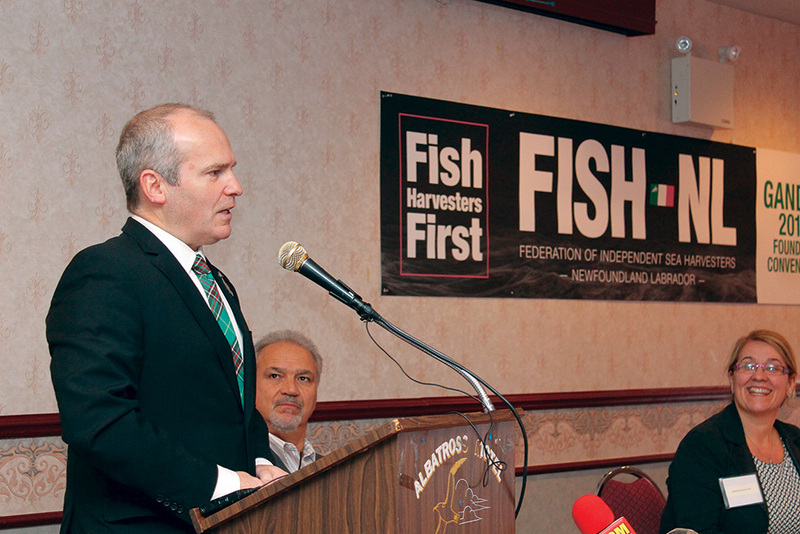 Since its inception in September of last year, the up-start FISH-NL has been leading a boisterous campaign to break away from the established FFAW and represent inshore harvesters exclusively. On December 30, FISH-NL presented an application to the Newfoundland and Labrador Labour Relations Board requesting that the organization be certified as the new bargaining agent for inshore fish harvesters. The application included membership cards signed by harvesters from more than 300 communities around the province. 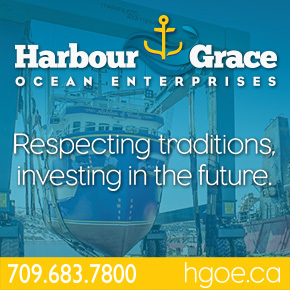 “We feel we have the support of more than 50 per cent of all inshore harvesters — we certainly had the support of more than 80 per cent of all harvesters we encountered,” Cleary said at the time. However, he would not disclose the actual number of signed cards at the time, causing an immediate reaction from the FFAW. Dave Decker, the union’s secretary-treasurer, said FISH-NL’s refusal to release the number of signed union cards was a clear indication the organization did not garner enough support to trigger a certification vote. However, on January 9, FISH-NL released further details of its certification application filed with the Labour Relations Board, including the total number of fish harvesters that actually had signed on. A federal Access to Information Act request filed this past September with Employment and Social Development Canada revealed that 6,354 Newfoundland and Labrador harvesters were in receipt of fishing EI last February, the most of any month in 2015, Cleary explained. Most harvesters file employment insurance claims, the total number of which is seen as a strong indicator of the total number of harvesters, FISH-NL explained in a press release. But the fishing EI claims also include offshore trawlermen, who won’t be represented by FISH-NL and their number must be subtracted. In a release of its own, the FFAW-Unifor said, as anticipated, Cleary did not obtain nearly enough of the support required to represent the bargaining unit. “Ryan Cleary and his group have taken advantage of a time of transition in our fishery and are preying on harvesters who are experiencing financial hardship as a result of that transition by making promises without any plan to back them up,” said FFAW President Keith Sullivan. The Professional Fish Harvesters Certification Board, the provincial body that operates and maintains a fish harvester registration system, has publicly stated that the number of fish harvesters eligible for certification in 2016 is 10,995, explained the FFAW. Consistent with those figures, FFAW-Unifor’s membership database accounts for 10,200 active, dues-paying members who are inshore harvesters, it added. No Replies to "No Decision on Future of FISH-NL"